Would You Save Your Amputated Leg? Here’s a few stump related media moments and materials. Thanks for reading and Happy Independence Day. I finally got around to watching Finders Keepers, a documentary that my friend and fellow Fairhoper Jack Daily recommended to me a few months back. Jack knows about my fascination with all things amputee or library related. If you are not sure about this one, Here’s a link to Internet Movie Database and the trailer. Somehow this true story and I never crossed paths, but it is a funny, sad, and strange tale that takes place in North Carolina. It made headlines around the world, The Telegraph, CNN, and hundreds of others news outlets back in 2007. Finders Keepers is about John Wood, an amputee, and Shannon Whisnant, the man who finds Wood’s partially embalmed leg in, of all things, a barbecue grill. The movie is a battle over the possession of John’s amputated leg, which he left in a grill inside his self storage unit. At some point he stopped paying his bill. Shannon purchased the contents of the unit at an auction, including the remains. In a move that would make P. T. Barnum proud, Shannon wanted to sell tickets so people can see the remains of John’s leg on display, supposedly in the grill that he found them in. John somehow gets possession of the leg back, and tells everyone it’s his leg and he wants to keep it. Shannon wants it back and in true “Finders Keepers” fashion, he goes to court to get it back. Not just any court though. The case is heard by Judge Mathis. By that point we have learned much, good and bad, about the personal struggles of these two good old boys and their bizarre family histories. Thanks for the “win win winning” recommendation Jack. It’s available for streaming on Netflix, or check your local library. I highly recommend it, especially for Ripley’s Believe It Not fans, amputees, or anyone interested in a strange story. I don’t know what compelled me to watch this link that appeared in my social media feed, but I’m glad I did. I’m not a huge Red Hot Chili Peppers fan, but I love this Carpool Karaoke bit. While it was funny, and entertaining in parts (it’s a bit long), the big payoff for amputees came around the 8.30 minute. The Late Late Show host James Corden asks the band members about their best rock moment. Chad Smith, (AKA Will Ferrell) tells a fantastic story about what he saw during a live performance many years ago. You can watch the whole thing, but here’s Chad’s rock moment. Chad: We played a festival in Holland many years ago and out in the crowd I saw two guys having a fight with their prosthetic legs…One had a shoe on and the other one didn’t. 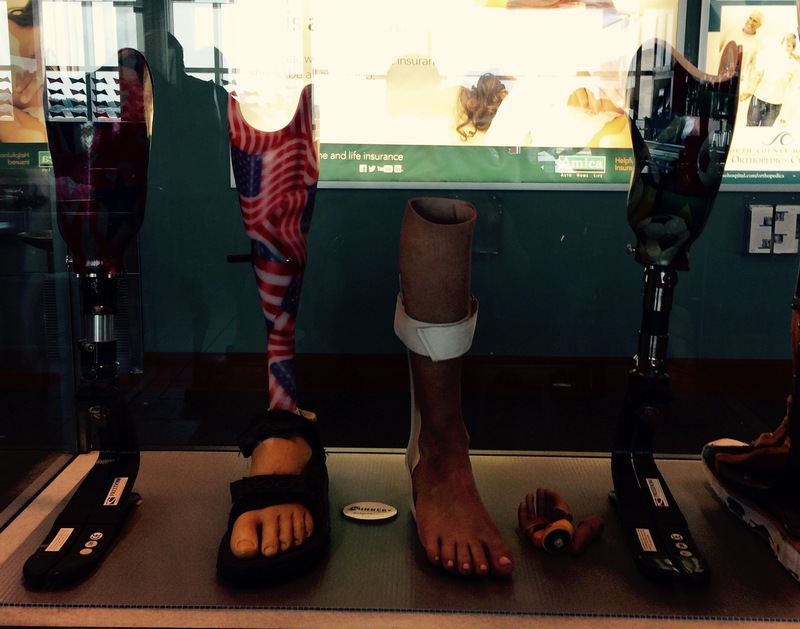 If you are passing through T. F. Green Airport in Providence RI make sure you check out the “display of legs.” My sister Laurie sent me this photo. I noticed they actually change out the prostheses in the case every year or so. 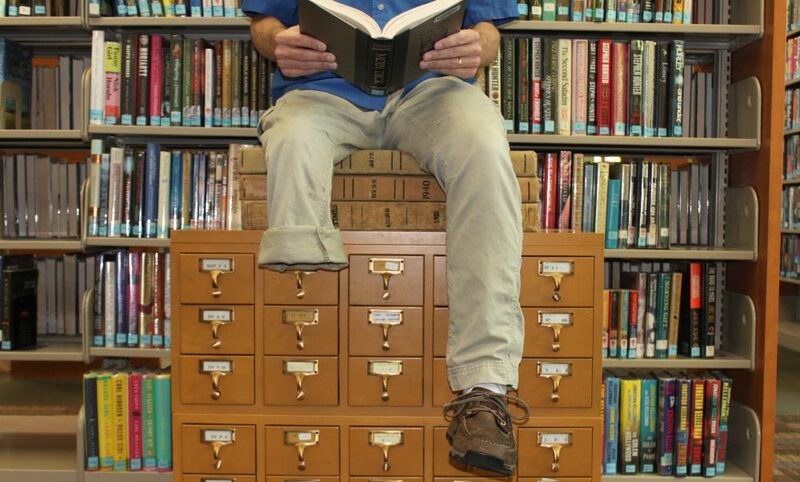 This title showed up in the Baldwin County library catalog recently. After having his left arm amputated due to a car accident, Aaron is forced to return to his boyhood home to recuperate. Disappearing into a fog of pain killers, the only true joy in his life comes from the daily 90-second radio spots of science fun facts and the disembodied voice of Sunny Lee. Oh Alan, what are we going to DO with you? I kept my tonsils in a jar for years until they were accidentally thrown out. Not sure about anything larger than that.